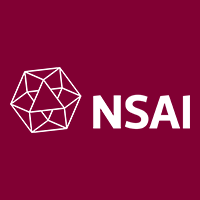 NSAI (National Standards Authority of Ireland) develops and publishes standards to meet international demands for the quality, design, performance, safety and environmental impact of products and services. The i2i Platform has been designed to provide lecturers and students with accurate and up to date full-text access to 55,000 current NSAI Irish Standards: straight IS (Irish Standards) EN (European Norms) and ISO (International Organisation for Standardisation). The i2i platform also lists the bibliographic content from over 350 international standards publishers covering over 1.5 million standards, references and equivalencies. IHS includes BSI Standards, Regulatory and Advisory documents for the UK & Ireland in the area of Construction & Building Products. Freely available ITU Standards is a significant step for the standards community as well as the wider information and communication technologies (ICT) industry. Download from over 3000 ITU-T Recommendations that underpin most of the world’s ICT. ITU-T Recommendations are developed in a unique contribution-driven and consensus-based environment by industry and government members, with industry providing the most significant input. A strong focus of current standards work is providing the foundations for the so-called next-generation network (NGN). Other key areas include IPTV, ICT in vehicles, cybersecurity, quality of service, multimedia, emergency communications and standards for access, such as VDSL 2 — very high speed digital subscriber line 2, the newest and most advanced standard of DSL broadband wireline communications.